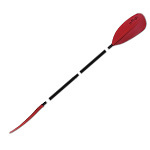 Split paddles are popular as primary paddles for Inflatable kayaks, they are also commonly used as spare or emergency paddles, for sea and whitewater kayaking. Durable sit on top paddle. The 2 piece design makes it easy to transport and take up less storage space. 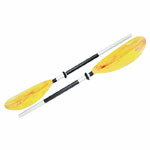 Afforable, yet reasonably lightweight and robust paddle that is ideal for sit on top and touring kayaks. 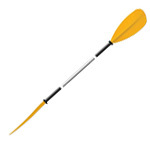 All round kayak paddle. 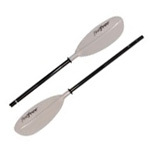 The 3 piece split version is perfect for carrying as a spare paddle. 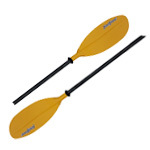 Ideal for those looking for an emergency paddle to carry in the back of their whitewater kayak.